There are many advantages to owning a used car versus a new vehicle. The main advantage is, of course, the cost. Used vehicles are less expensive than newer model cars and can have lower monthly payments. 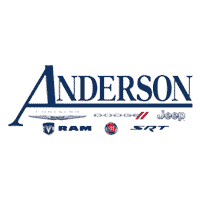 Here at Anderson Chrysler Dodge Jeep Ram FIAT, we specialize in matching customer needs with the perfect used vehicle in our inventory selection in. You can choose from our broad range of used cars, trucks, and SUVs. Our company strives to listen to the customer’s needs and then find the perfect used car on our lot. Our used vehicle inventory consists of nothing but the most reliable vehicles and affordable prices you will find anywhere. All of our vehicles are thoroughly inspected before we put them on our lot. This assures that we deal with only the most reliable used vehicles. Whatever type of used vehicle it is you are looking for, we’re sure to have it at our dealership. Come test drive some of our used vehicles in Lake Havasu City.